With Android 4.4.1's release earlier today, many of you have been asking about and expecting the corresponding factory images, especially for devices without OTAs at this point: the 2012 Nexus 7s, the Wi-Fi 2013 Nexus 7, and the Nexus 10. Factory images can help recover soft-bricked Nexus devices, update the OS or its parts without losing data in case an OTA doesn't want to apply, or go back to stock after trying a custom ROM. 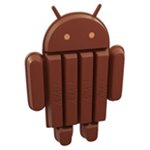 We are in the process of releasing the source to the kitkat-mr1-release branch (tagged with 'android-4.4.1_r1), kitkat-dev, and master branches. Finally, we plan to release the proprietary binaries and factory images next week. So there you have it - a quick heads up to not wait up late for the factory images tonight or this week at all for that matter. Hopefully, we'll get the OTA zips for all devices in the meantime.